Born in Kanjari, Gujarat in 1957, Dhruva Mistry RA studied at the Faculty of Fine Arts, The M S University of Baroda, (1974 to 1981) before gaining a British Council Scholarship to the Royal College of Art, London where he continued his studies until 1983. Mistry has exhibited extensively Internatially in solo and group shows since 1976. His first was mounted at Jehangir Art Gallery, Mumbai (1982). In the year between 1984 and '85, Mistry was an artist in residence at Kettle's Yard Gallery with a Fellowship at Churchill College, Cambridge. His works have been included in several prestigious collections including those at the Lalit Kala Akademi, the Tate Gallery, the Arts Council, the British Council, the Victoria & Albert Museum, London, the National Museum of Wales, Cardiff, and the Fukuoka Asian Art Museum, Japan. His public installations include a sculptural pieces installed at Goodwood, Sussex, the Yorkshire Sculpture Park, and the Hakone Open Air Museum, Japan. Mistry has also been commissioned to produce sculptures for the Victoria Square in Birmingham, U.K and Tamano City, Japan. In 1994, he was selected by the Fukuoka Art Museum, Japan, to exhibit as part of Asian Artists Today - Fukuoka Annual VII. In 1991, Mistry was elected into the Royal Academy of Arts and in 1993, was invited to become a Fellow of the Royal Society of British Sculptors, London. On returning to Baroda, in 1997, he was appointed as Professor, Head of Sculpture and Dean of Faculty of Fine Arts, M.S.University, Baroda, a position in which he remained until 2002. And in 2001, he was awarded an Honorary CBE. Dhruva Mistry's work ranges from huge public installations to maquettes and wall reliefs. 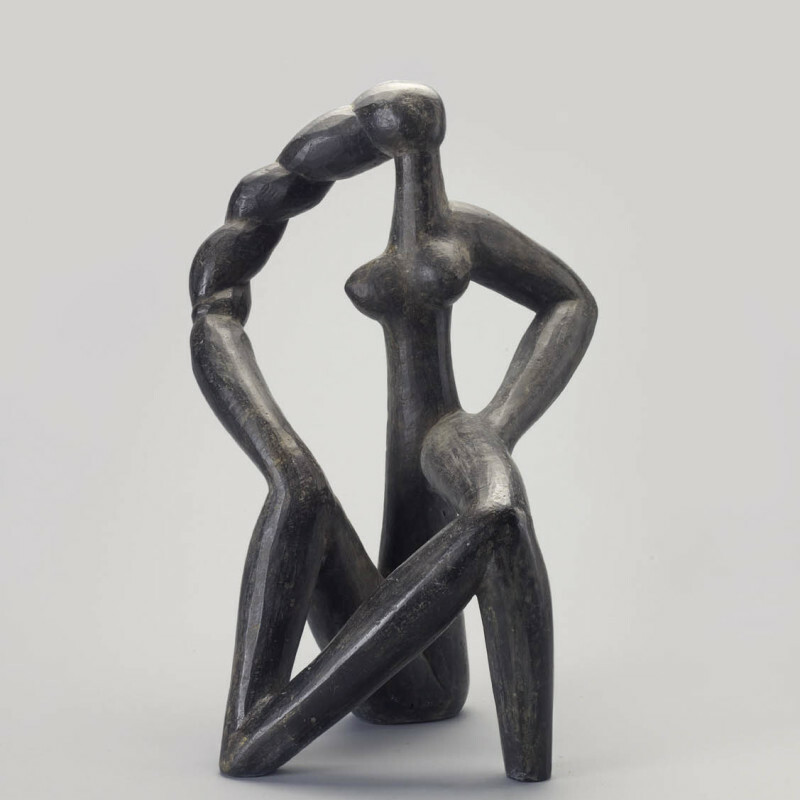 His works encompass influences from Egyptian and Cycladic art, the European traditions of figurative sculpture, as well as Hinduism and Buddhism. The Artist uses a variety of materials and genres to explore cultural tensions. Mistry's recent works explore digitally-controlled laser-cutting techniques, a methodology he has been experimenting with since 2001. The sculptures are defined in terms of planes, forms and cut-outs, a contemporary re-working of the language of Cubism. Mistry plays on the viewer's perceptions as we are invited to explore the sculpture by looking at them, into them, round them, and through them, their shape changing at every angle. Large scale versions of his works, Reclining Figure and Seated Figure, are now on display at the Delhi University campus. Commissioned by the Delhi Development Authority, the two pieces are rendered in bright, colours and textured with a polyester-resin finish. Mistry currently lives and works in Baroda.